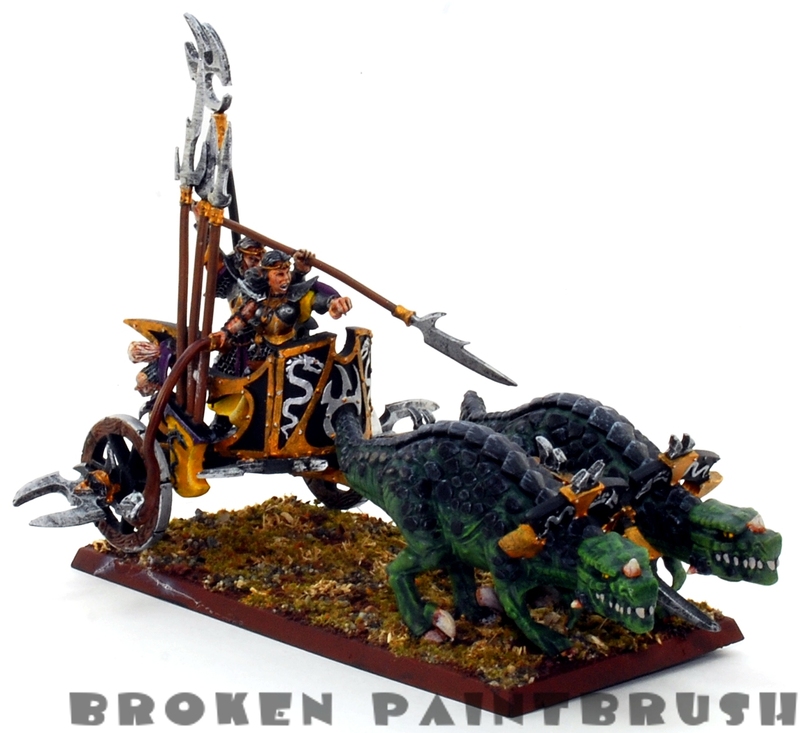 Next up in my Dark Elf Army postings is the neat, but ineffective Cold One Chariot. This was also one of the first I painted when getting back into the hobby so forgive the not-so-great painting 🙂 As much as the temptation is to go back and repaint the model, it is good enough to sit on the table and I would rather focus on the units I have yet to paint. 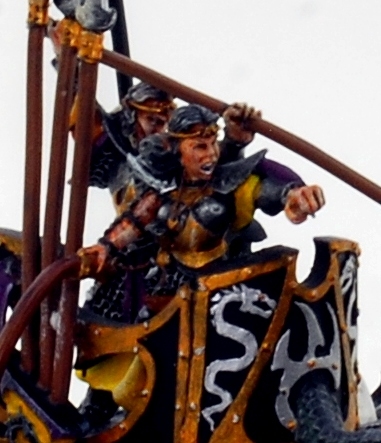 In some ways I am glad they didn’t redo the chariot with the new cold ones. 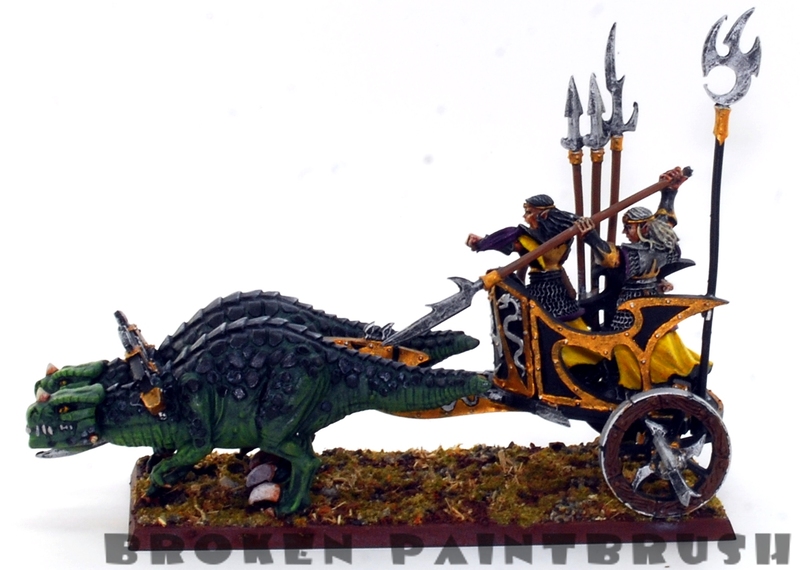 As cool as the new dinos look for the knights, I like the look of the bulkier beasts for the chariot. Though it they redid the whole model in plastic I would probably buy another, though this model hasn’t found it into many of my army lists in 7th edition, and may even less in 8th. 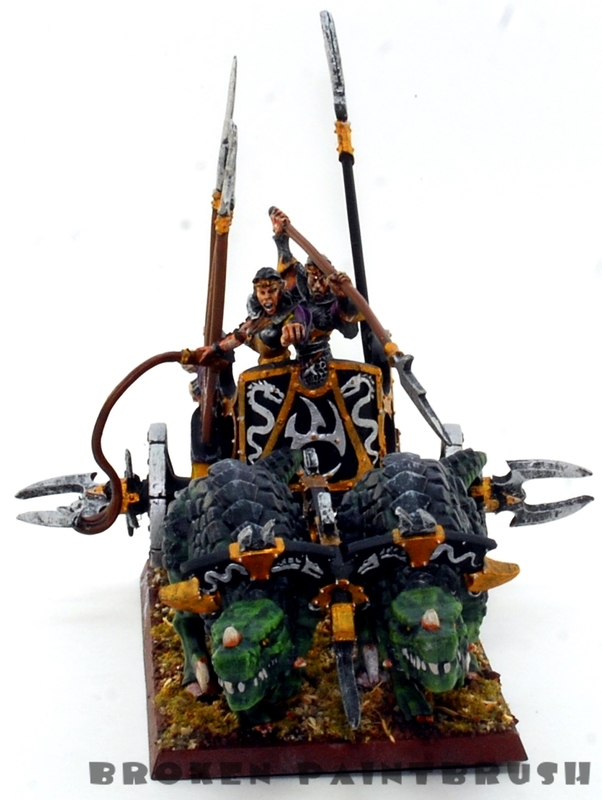 Any one have success using chariots in 8th edition? On the plus side they can no longer be auto-killed with S7+ hits but being single model units they would have a tough time against those giant hordes and their ridiculous attacks and combat res.